Say it with WORDS this Valentine’s Day : More Than Words creates personal pieces of contemporary typographic fine art at prices that won’t break your heart. Chocolates, flowers and balloons may have become the most popular ways to say “I love you” on February 14th, but when it comes to matters of the heart, there’s a lot to be said for simply saying what you really mean. 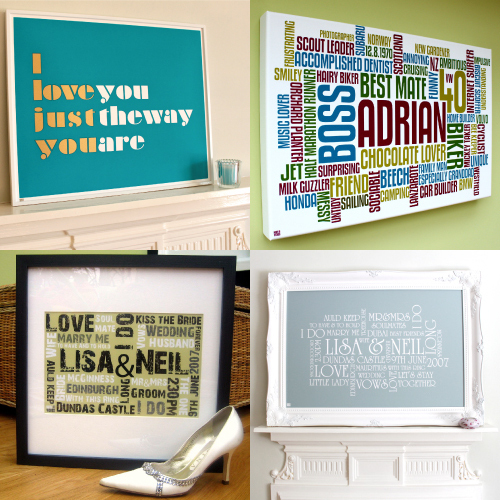 More Than Words can elevate your declaration of love to a typographic art form with their beautiful, fine art quality, vintage-framed canvasses and screen prints that spell out exactly how you feel.